Introducing the TomTom Bandit Action Camera - just shake to edit. The TomTom Bandit is the first ever camera to come with a built-in media server, eliminating the need to download footage before being able to edit it. The camera works with a companion app, making it possible to create and share videos in a matter of minutes, simply by shaking a smartphone. 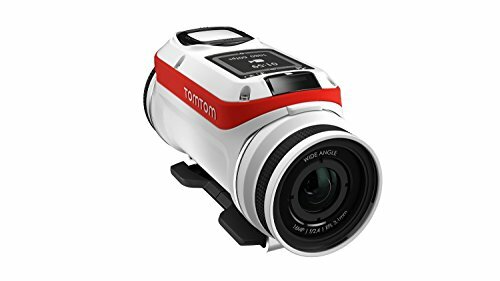 The TomTom Bandit Action Camera is equipped with in-camera motion and GPS sensors to automatically find and tag exciting moments based on speed, altitude, G-force, acceleration and heart rate. Highlights can also be tagged manually with a tagging button on the camera or the remote control. The TomTom Bandit works with a smartphone app, which includes a superfast viewfinder. Footage can be reviewed instantly with the smartphone app thanks to the built-in media server. In editing mode, a simple shake of the smartphone instantly creates an exciting movie. Users can then easily make changes, add music and add overlays of favorite metrics, such as speed, before sharing with friends.